Illustrator Tom Cocotos mastery of mixing drawing with collage stretches wide, with subjects ranging from people to objects to…well, Blue Jays. The beautiful bird, which can be found in most of eastern North America, seem to make a crucial holiday choice each year, as some tend to stay behind in the cold while others migrate to dryer and hotter climates (see attached New York Times article). 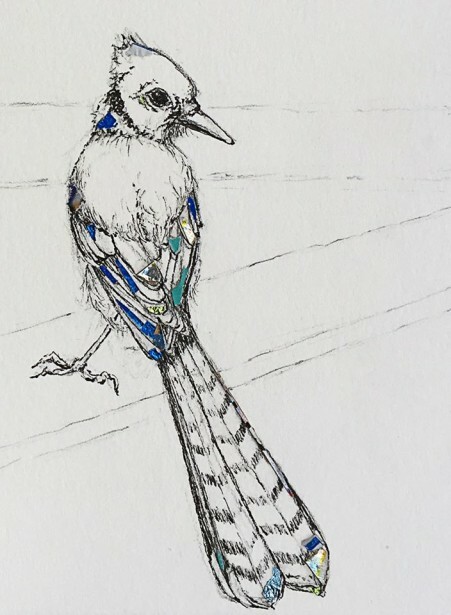 The “NYC Blue Jay”, seen in Tom’s most recent illustration, is said to be flying off to Porto, Portugal.